Revit Essentials is a unique learning resource that features concise, straightforward explanations and real-world, hands-on exercises and tutorials to teach new users the software's core features and functions. This book is authored by Ryan Duell, Tobias Hathorn and Tessa Reist Hathorn. Each chapter opens with a quick discussion of concepts and learning goals and then briskly moves into an approachable hands-on exercise that readers can follow to gain confidence using the software. Each chapter features compelling full-color screenshots to illustrate tutorial steps and chapters conclude with a related and more open-ended project to further reinforce the chapter's lessons. Readers can download starting and ending files for the exercises and additional learning tutorials so that they can start anywhere in the book and compare their results with the pro's. There's also information to help users prepare for the Revit certification exams. 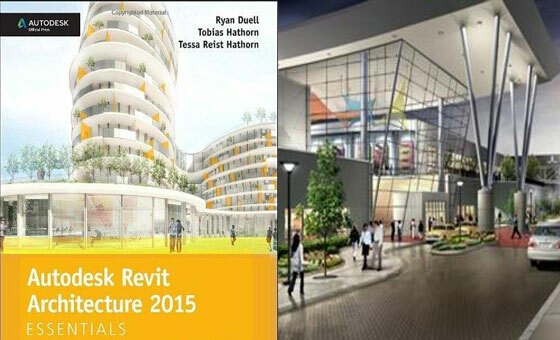 The book begins by introducing users to Revit's interface and powerful tools. Using a workflow-based approach that mirrors how projects progress in the real world, the book then guides readers through schematic design considerations creating walls and curtain walls designing floors, roofs and ceilings and adding stairs, ramps and railings. Readers then learn how to work with families, groups and phasing, as well as rooms and color fill patterns. This revision includes a great new chapter on rendering and visualization and it also explores effective work sharing, details and annotations, creating compelling drawing sets, professional workflows. It concludes with tips and tricks drawn from the authors' extensive experience. The hands-on exercises in Revit Essentials gets all users up to speed on the program's core functionality so they can quickly become productive with the software. The full-color book also features dataset downloads so readers can jump in anywhere as well as compare their work to the pro's. New pedagogical elements include a stronger emphasis on skills rather than tools, starting and ending files for every single exercise and more clearly defined exercises that better separate the step-by-step instructions from the "why" discussion.